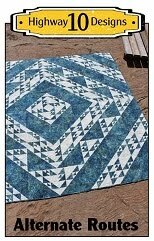 Here is another Star Fling quilt, pattern by Atkinson Designs, that was made by our guild and this time they used Kansas Troubles fabrics. The other Star Fling quilt they made was pieced using bright coloured fabrics and had a totally different look. You can see that one here. This quilt is going to be donated to the Respite Room at the Personal Care Home in Flin Flon. The panto used on this one is called Wildflower and looks nice with all the tiny floral prints in the fabrics. 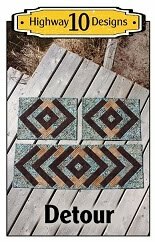 I used a light brown So Fine thread and Quilters Dream Blend batting. Woke up to more snow this morning but the temperature got up to +3’c today so I enjoyed watching it melt!!! Looks like spring might finally be making its way up north! I love Kansas Troubles fabric. 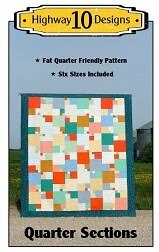 They are great fall type colors and your quilting is wonderful! Обожаю Ваши работы, Ваш снег и природу!! 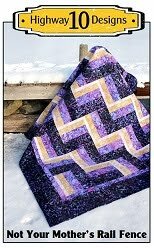 Beautiful quilts, the both of them, and what a difference the color choice can make! I love it very mutch! What a beautiful quilt this made in KT! 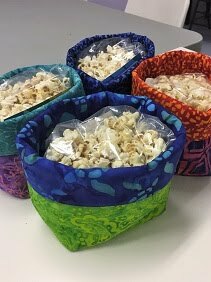 Thanks also for sharing the pattern! 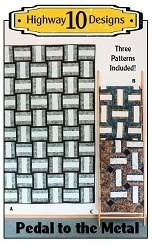 Wish it would tell where to find the patterns for these beautiful quilts.